Theories trying to explain just what went wrong with the NDP campaign have been as prevalent on my Facebook newsfeed this past week as posts about how cool Trudeau is and analysis of the new Star Wars trailer (it’s awesome, btw). It’s Because of the Niqab! 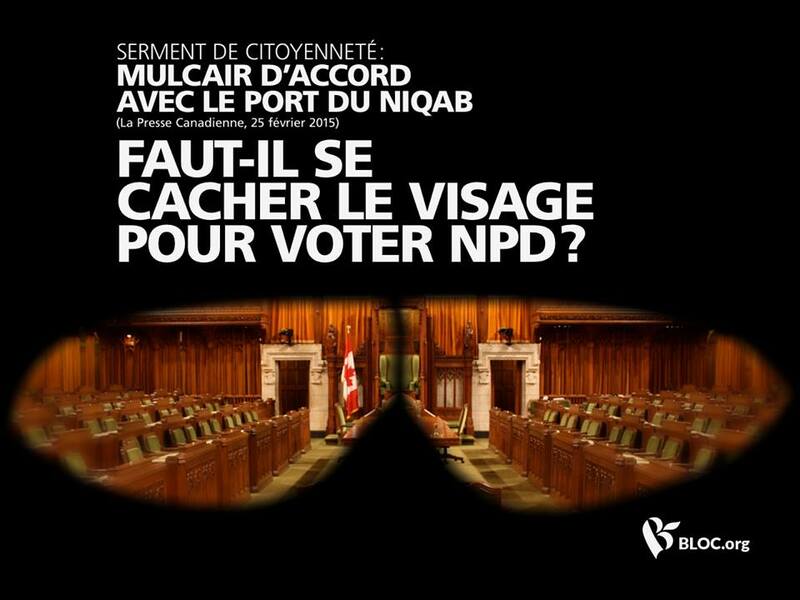 Party insiders, defeated (and elected) MPs and now even leader Tom Mulcair himself have laid the blame squarely on the niqab. Specifically, they blame the race-baiting tactics employed by Harper and reinforced by Gilles Duceppe for their defeat. Since NDP Orange Wave seats came largely at the expense of the Bloc Quebecois, Duceppe was able to mobilize xenophobic members of their former base and make the NDP look weak, or at least weaker than they looked before, in fortress Quebec. When people in other parts of the country saw this happening, the Anyone But Conservative crowd collectively decided that if the NDP couldn’t hold Quebec, voting Liberal was the only way to ensure a Harper defeat. Every politico worth their salt knows and loves The West Wing, so the easiest way to explain this theory of defeat is to reference the show, in particular the episode The Two Bartlets. NDP strategists took a street fighter and a damn good parliamentarian and forced him to run as Uncle Fluffy. 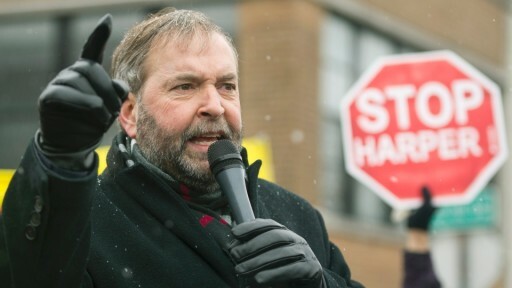 When Tom Mulcair railed against Bill C-51 while being rained on at a demonstration in the streets of Montreal a few months before the campaign started, it was magic. Angry Tom was in his element. The Harper Government ripping apart the Charter of Rights and Freedoms is definitely something to get angry about. It worked. Too bad NDP strategists opted to take a different road for the campaign. 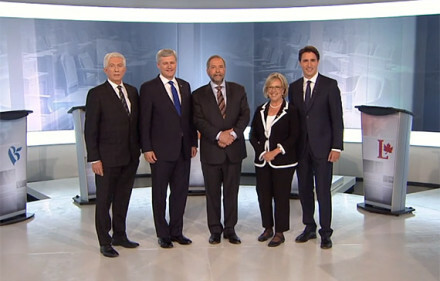 Tom Mulcair in a suit, the same suit each time it looked like, talking in measured tones and cracking a forced smile. 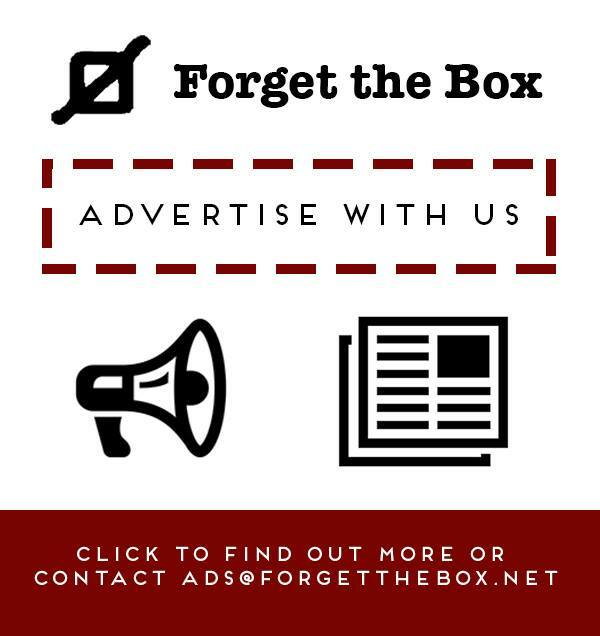 They also chose to make the campaign about him. Focusing on the ensemble of talented MPs and candidates with Tom at the centre leading the charge would have been a much better strategy. You should only make it all about the leader when the leader exudes charisma. 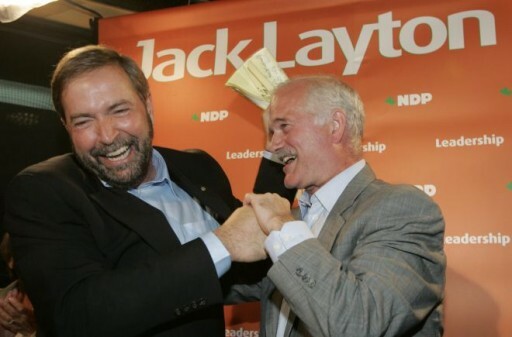 Running a Jack Layton campaign only works with Jack Layton as leader. Focusing on a leader who isn’t all that charismatic and not being used to his full “angry” potential when one of your opponents is Justin Trudeau is just bad strategy. While the NDP started off the campaign strong with a principled stand to the left opposing and promising to repeal Bill C-51, they soon tried move themselves to the mushy middle. On the economy, they overshot their goal and found themselves to the right of the Liberals. True, the Liberals can get away with promising deficits in a way the NDP cannot, but surely some strategists in Mulcair’s inner circle knew that and could have predicted Trudeau would make an economic play to the left. 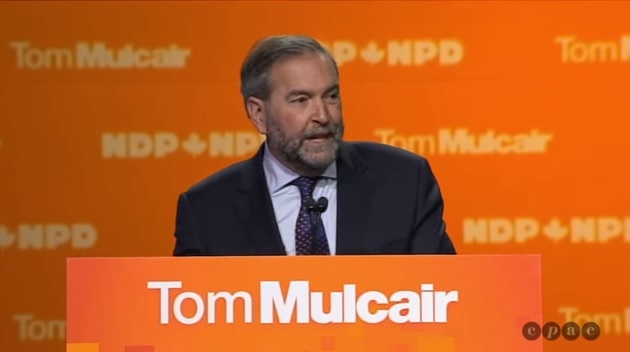 Mulcair’s zero deficit promise helped further alienate a good chunk of the party’s social democratic base. I say further because Mulcair had already damaged relations with the base a few weeks before by refusing the nomination and candidacy of candidates who had been critical of Israel during the bombardment of Gaza a year earlier. Which one of these theories is correct? They all are. The niqab debate did hurt the NDP much more than it hurt the Liberals. It was the spark that pushed the party to third place in the polls. 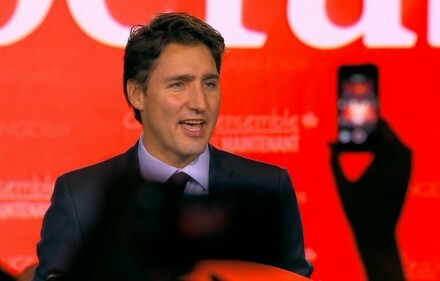 However, if the base had been solid instead of pushed to the sidelines, those who had all but given up on the New Democrats wouldn’t have been saying “you see, I told you so!” Instead they would have been devoting every second of their spare time to counter Harper and Duceppe’s poison pill on social media, on the phones calling voters and door-to-door. Likewise, if Mulcair had been allowed to be Angry Tom, he could have got mad at the race baiting and explained clearly, as he did with C-51, why it was wrong. If the campaign wasn’t just about him, his co-stars, the candidates, could have taken some of the heat off on a much larger level. It’s possible the NDP would have still finished in third place, but it would have been a much stronger caucus, one that may have eliminated the Bloc, too. It may have even been strong enough to hold Trudeau to a minority. Along with calls for Mulcair to resign, I have seen total disbelief that he hasn’t done so yet and that the party hasn’t forced him to. It makes more sense, though, if you look at NDP history. On one hand, this is the most catastrophic defeat the party has ever suffered. On the other, with 44 seats in the House of Commons, this will be the NDP’s second largest caucus since the formation of the party, beating Ed Broadbent’s 1988 total by one seat. Then again, Mulcair was elected leader, over the misgivings of some of the party faithful, on the promise that he could win. Not just do better than Ed Broadbent, but continue what Jack Layton started and form government. On that promise, he failed to deliver in a spectacular fashion. I think the best course of action would be for Mulcair to announce his resignation as leader, to take effect when a new leader is elected. I hope he stays on as an MP, as he is a strong presence in the House of Commons. He’s a pitbull, but not a Prime Minister. 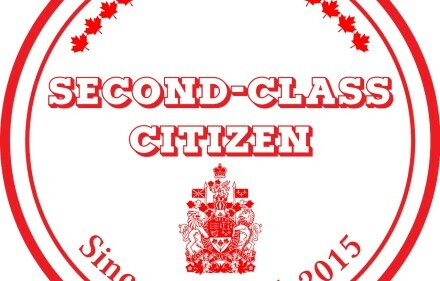 The NDP should elect a charismatic, preferably bilingual, social democrat as leader. 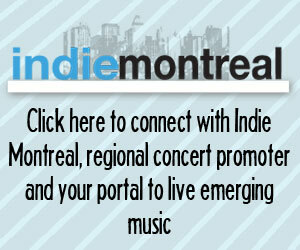 Alex Boulerice springs to mind, so does Nikki Ashton. Now that vote sharing with the Liberals won’t be an option, maybe even Nathan Cullen, with some French lessons, could work. If Mulcair does decide to stay on, though, and the party doesn’t force him out, he should admit all the reasons why he failed this past election and make changes accordingly. Otherwise, what happened to him and the NDP last Monday could end up being a preview of worse to come. 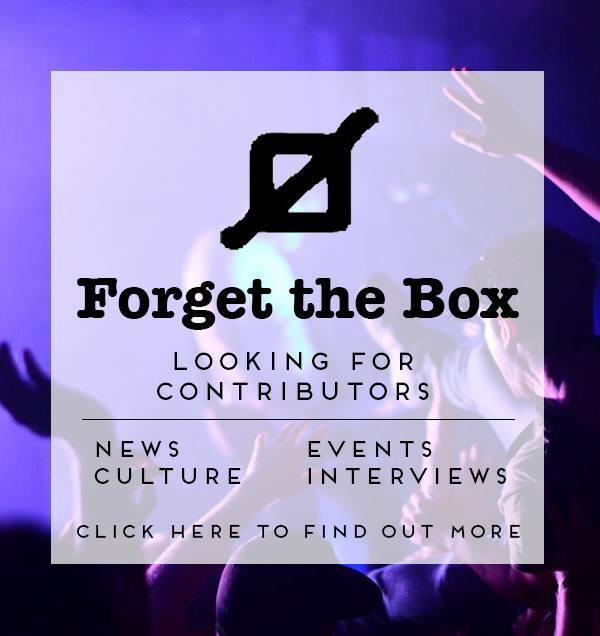 Previous storyMorning Gloryville Preview and Ticket Giveaway!